Meniere’s disease diet strategies include eating less salt, limiting alcohol and caffeine, and avoiding allergens. 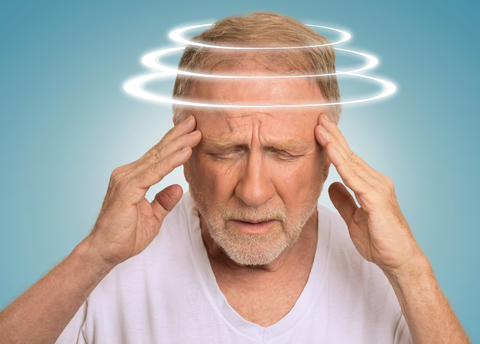 People with Meniere’s disease experience recurrent episodes of vertigo, hearing loss, tinnitus (ringing in the ears), and feelings of pressure in the ear. Meniere’s (pronounced men-years) disease is a disorder of the inner ear that leads to abnormal sensory processing related to hearing and balance. People with Meniere’s disease experience recurrent episodes of vertigo, hearing loss, tinnitus (ringing in the ears), and feelings of pressure in the ear. For many people, these symptoms can be very traumatic and frightening. Episodes tend to come and go, with acute episodes occurring in between periods of remission that may last several months. Most people with Meniere’s are between the ages of 40 and 60 years old, but younger people can also have the condition. No one knows what exactly causes the disorder, except that episodes occur when fluid builds up in the inner ear. Limit salt intake. Salt levels regulate fluid balance, and it is believed that lowering salt intake can lower pressure in the inner ear, helping to relieve symptoms. Avoid caffeine and alcohol. People who follow through with recommendations to restrict caffeine have significantly fewer Meniere’s disease spells and report higher levels of functioning compared to people who don’t limit their caffeine. Identify and address allergies. Researchers believe that symptoms of Meniere’s disease, which seem to be partly inflammatory in nature, may be related to allergic reactions in many cases. In fact, some researchers estimate that allergic inflammation may be the root cause of symptoms in about one-third of patients. Many patients with Meniere’s disease also have confirmed allergies. One team of researchers found that 82.7% of Meniere’s disease patients tested positive to skin prick tests for at least one allergen. Addressing allergies, through avoidance of the allergen itself or through immunotherapy, can help improve symptoms. In one study, 82.6% of people with Meniere’s who were treated for their allergies said that they felt better after the treatment. They had fewer vertigo spells per month and used significantly less medication to control symptoms. These improvements were not seen in the control group that did not receive allergy treatment. Stress reduction. If you suffer from Meniere’s disease symptoms, addressing your stress levels should also be one of your top priorities. Anxiety and stress can make symptoms worse and last longer. In turn, exacerbations of symptoms can cause even more stress, and so on. [8,9] Stress management techniques like cognitive behavioral therapy or mindfulness-based stress reduction are well worth your time, as they can help to break this vicious cycle. Pycnogenol. There is some evidence that pycnogenol, a natural extract from French maritime pine bark, may help to control symptoms. In one study, 87.3 percent of people taking 150 mg/day were symptom free after six months, compared to only 34.6 percent of the control group. Gingko biloba may also help vertigo symptoms. If you feel at the whim of your Meniere’s disease symptoms, it is time to take back control. 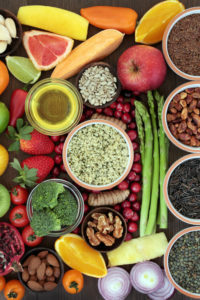 Make the three Meniere’s disease diet changes suggested above; these simple lifestyle changes could make a big difference in helping keep your symptoms at bay. For added support, also include stress reduction techniques and a pycnogenol supplement into your daily routine. Do you have any tips for a Meniere’s disease diet? What other Meniere’s disease natural treatments do you use to control symptoms? Share your thoughts in the comments section below. BMJ Clin Evid. 2007 Mar 1;2007. pii: 0505. Curr Treat Options Neurol. 2015 Apr;17(4):341. Otolaryngol Head Neck Surg. 2000 Feb;122(2):174-82. Curr Opin Otolaryngol Head Neck Surg. 2010 Jun;18(3):195-9. Otolaryngol Clin North Am. 2011 Jun;44(3):655-66. Psychol Health Med. 2008 May;13(3):257-73. Ann Med Health Sci Res. 2014 Jan;4(1):3-7.
alcohol, allergen, allergic reactions, allergies, allergy, allergy treatment, anxiety, anxiety and stress, caffeine, cognitive behavioral therapy, diet, ears, health, hearing, hearing loss, immunotherapy, inflammation, inner ear, meniere s disease diet, meniere s disease natural treatment, mindfulness, natural treatment, natural treatments, pycnogenol, report, side effects, skin, stress, stress management, stress management techniques, stress reduction, stress reduction techniques, supplement, tinnitus, vertigo, vertigo symptoms. I’m suffering from meniere disease since five years and I tried many kinds of treatment but I’m still suffering. Please I you can help me. I’m forty years of age and I have a lot of work and responsibilities. I have had Menier’s for about 15 year in one ear which is now completely deaf. Recently I started having fluctuating hearing loss in what was my good ear. I also started feeling a little dizzy again and would have bouts of screaming tinnitus. I am having cortisone injections for the hearing loss which no longer seem to do anything. What is really helping is a low glycemic, non-dairy, lower sodium diet. I notice that every time I ate a simple carbohydrate without fat or protein, I would get screaming tinnitus. For me it’s much more a sugar thing than a salt thing. My dizziness and tinnitus are currently under control. Worth a try. My husband finds it very difficult to get his salt intake right. Apart from menieres he has chronic fatigue and a tendency to low blood pressure. If he doesn’t have enough salt, his blood pressure drops and that makes him very lightheaded. It’s very difficult to get the balance right. Does anyone relate to this? I’ve tried the three main suggestions after having some major vertigo attacks about 5/6 years ago. Restrict salt (good for heart also), exercise and sweat (tennis), keep coffee consumption low, and had a middle ear operation that really helped (no vertigo after that). I’ve been hard of hearing since my mid-20s (Army), so the tinnitus doesn’t seem so bad since I can’t hear that well. Just started pycnogenol this week (seems to make my sleep better, too). I should have mentioned in my June 11 comment that I also use a Meniett machine. It really works to keep the dizziness under control. This machine along with a strict diet has been life changing. Unfortunately, it does nothing for hearing loss. I take pycogenol for blood sugar and my menieres disease. Now I’m reading that pycogenol can cause dizziness and that it can effect autoimmune diseases which menieres is considered. What givrs? I am looking for recipes and menus for meniere’s. Can anyone recommend something? Wheat is an instant trigger. I stopped wheat products for three months and was episode free. I restarted it a month ago and have had frequent episodes since then ; starting with one dizzy spell a day and going up to 6. Cell phones are another trigger. Looking at them even for a second in a moving vehicle is an absolute ‘no’ & an instant trigger. Eat foods that are 100% gluten free. Strictly avoid peanuts in any form. Limit the intake of carbs, sweets, white sugar & very salty food. Sip ginger & lime juice when you are having an episode. Sleep well! Manage your stress even if you need to get help to do so. I was diagnosed three months ago with Menieres. I came across an article regarding pycnogenol and began taking it, along with reducing my salt intake (no takeaways! ), drinking lots of water and lowering caffeine intake. I haven’t had an attack of vertigo since, I can still feel it in the background sometimes but it’s under control. I really recommend anyone with vertigo to try the same. You have to take the correct dosage of pycnogenol, that’s important. I wish you all the best of luck as it’s really debilitating when you’re suffering from Menieres. I was diagnosed with Menieres a few months ago, I’ve started my diet by not eating anything that has more than 145mg of sodium, that seems to work for me. If I cheat I seem to pay for it within an hour of eating the high sodium food. I have had Ménière’s for 11years. However I was misdiagnosed and lost complete hearing in my left ear. I was so relieved to finally understand what I had and thought, I can beat this. But after losing 20 pounds due to eating mainly fruit, my body was so weak and I inadvertently starved myself. I was malnourished, and still the symptoms remained. My vertigo last at least 8 hours and I sleep after one hits. I’m sorry everyone on here is dealing with this horrible silent disease. I check out the internet at least once a week to see if there is a breakthrough for this. It’s comforting in a strange way to hear about others with this disease. Hello all Meniere sufferer’s I have had this condition for over thirty years, it now seems to be changing pattern and fingers crossed for the better,my dizziness is not strong any longer and I can control the attacks I am doing head excerises which are working for me ,just keeping fingers crossed it will burn its course . I was diagnosed with Meniere’s 4 months ago. I have been dealing with the symptoms for over a year. Hearing loss, vertigo, and worst of all nausea/vomiting. My PC prescribed zofran and it just makes me sleepy. I’m making an effort to limit sugar/caffeine/alcohol as suggested. I get so tired and distraught and am not coping well. Does anyone know of an online support group? I’m only 45 and have always been very healthy and active. I can’t even do yoga anymore because I can’t hold standing poses without vertigo. Running also makes me sick. I’m going to try the pycogenal and gingko to see if that helps.